I’ve never been the biggest Tyler, the Creator or Odd Future fan, I’ve appreciated the following they’ve been able to build but their style was never my cup of tea. But ever since Tyler stepped away from the group I’ve been really feeling the verses he’s been putting out. Not to mention he does have a great ear for talent and different sounds, so I figured I’d give Flower Boy a chance. I was honestly taken aback at how beautiful and sophisticated the sound was. I was expecting more of that aggressive shock rap he was known for when he first burst onto the scene but on Flower Boy he shows off the full extent of his artistry. On many of the songs there’s just as much, if not more, singing as there is rapping and he picked some fantastic features. Working with The Internet and Frank Ocean has clearly rubbed off on him. 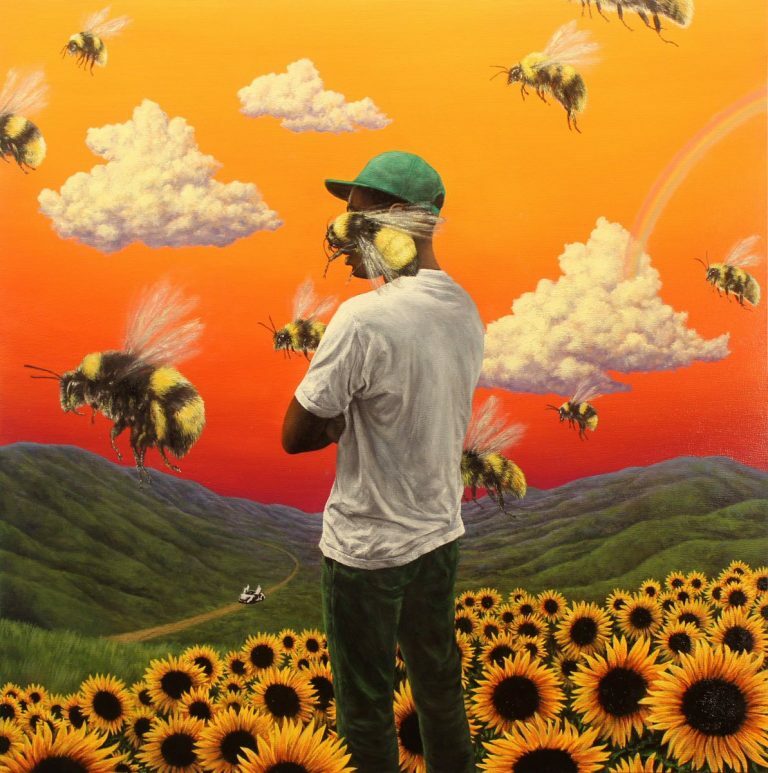 That’s not to say that there aren’t some hard-hitting tracks here, “Who Dat Boy” is about as menacing as I’ve ever heard from him and “I Ain’t Got Time” is definitely a radio single, but Flower Boy leans heavily towards the mellow side. But no matter which route he goes on the album, the production is stellar. Strip away the shock and awe and the crazy antics and there’s a really skilled lyricist with some really insightful musings. Flower Boy surprised me and it’s the first time I’ve really saw what all the hype’s been about. Have you heard Flower Boy? What’d you think about it? Were you as surprised by the artistic sophistication present as I was? Let me know in the comments below and be sure to leave your own ratings and reactions for the album. Flower Boy is surprisingly sophisticated with more mellow moments of introspection than shock raps. He really shows off his full artistry and the spectacular production really made me see what all the hype's been about for the first time.